Today, February the 17th is known as the Random Acts of Kindness Day, when people across the world perform a a random act of kindness towards a stranger. It can be as simple as giving up your chair on a bus, giving out some spare change or tipping your waitress slightly more this Monday. A sister to National Kindness Day in November, Random Acts of Kindness Day is an unofficial holiday (just incase you've not heard of it!) and whilst not a holiday, it is a nice idea that for this day we focus on doing a good deed to another. If you're feeling particular generous today, why not treat a loved one to a beautiful bouquet of fresh flowers from our new Spring Flower Range? 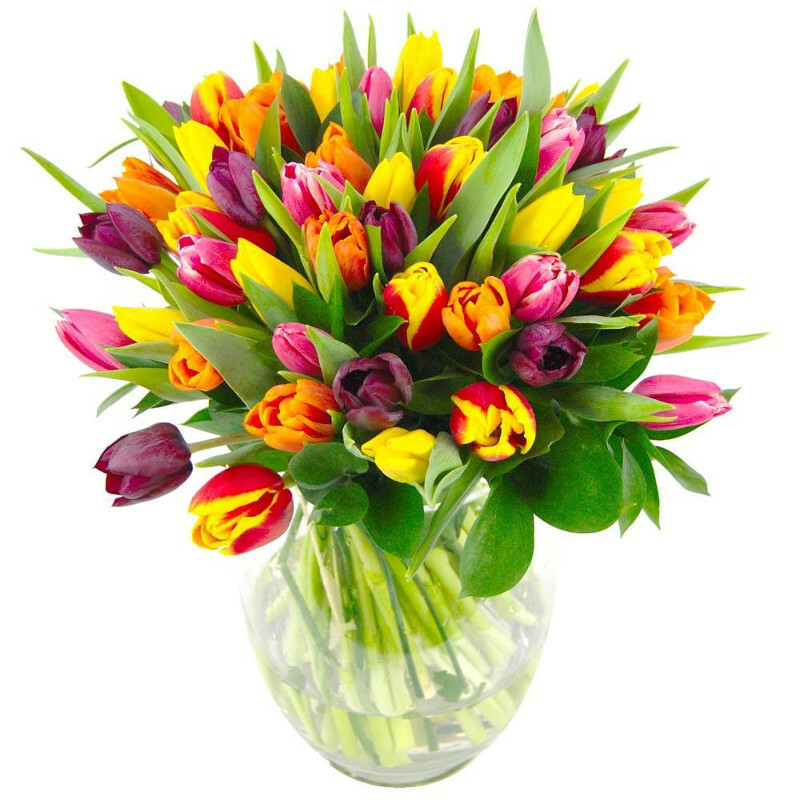 What better way to treat a loved one than with a bouquet of flowers bursting with rich, warm spring colours. We can arrange for delivery tomorrow for them to come home to. One of our favorite Spring Bouquet which would be a perfect choice for Random Acts of Kindness Day would be our Mixed Tulips Bouquet, a glorious collection of red, orange, pink and purple tulips hand arranged by our team of florists. This eye catching bouquet would be an ideal gift to brighten up any home, and the rich mixture of tones will be sure to brighten up their surroundings. What are planning to do for Random Acts of Kindness Day? Please let us know by leaving your comments below!